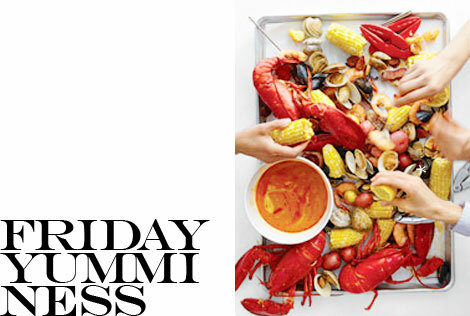 ... i do love a clambake! throwing everything on a baking sheet is perfect* for sharing around the table this weekend. have a wonderful forth of july everyone! Let's have this when you come home next month? Yum!